Hello everyone! I am sorry it has been so long since my last blog. It’s been crazy busy at Believers Victory Center, but what an exciting time in the history of our church. 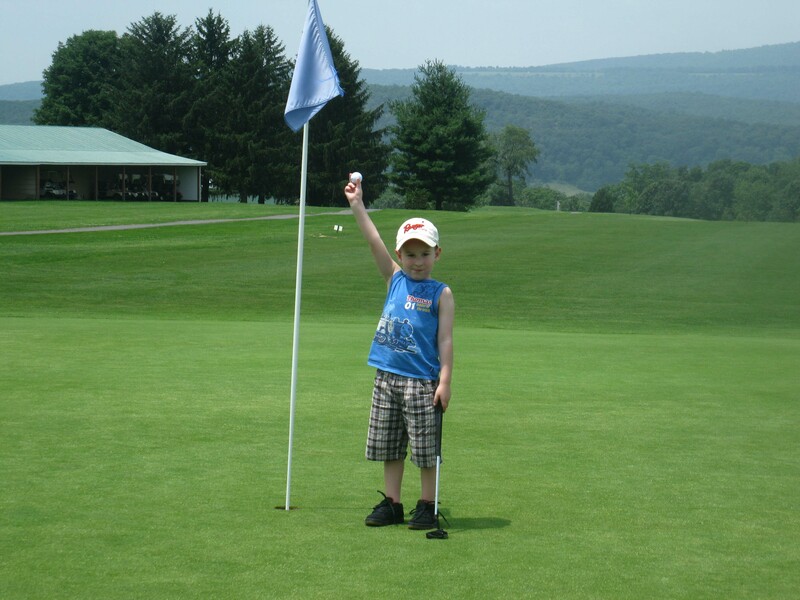 After the big weekend of the video shoot, my son and I hit the golf course. I really wanted to spend some time with him since I was so busy over the weekend. Carson has his own tiny clubs and a little bag to carry them around in. Of course I have a very biased opinion, but he really is cute with his little golf bag on his shoulder, marching up to the tee box ready to swing away. He has such a great attitude toward the game too. Every shot is a great shot to him, no matter where it goes. I, on the other hand, have a long way to go to get my attitude where it needs to be when I’m on the golf course! There’s my public confession for this week, let’s move on now. As Carson and I gave it our best at the course, I began to think that I should have planned something more for our day together. He’s been to the golf course many times, it’s no huge deal. Sure he likes it, but I began to feel guilty that I didn’t get the boat out and take him to a lake, or plan some excursion to a petting zoo. As these thoughts were running through my mind, my four year old climbs in the golf cart and gives me this huge hug and says, “We’re golfing buddies aren’t we?” I squeezed him real tight and assured him that we are most definitely “golfing buddies” and as I did it hit me like a ton of bricks that my son has a distinct way of seeing the value in the little things of life. Carson could have cared less about the venue or the expense of the trip, all he cared about was spending time with his dad. Up to that point in the day I would have judged it as a small thing compared to what we could have experienced together, but my son reminded me that there is great value in the little things of life. We continued around the course, failing to set any records, but having a great day together and I began to think about the verse of scripture found in Song of Solomon chapter two, verse fifteen. It reads; “Catch us the little foxes, the little foxes that ruin the vineyards….” As I pondered on this particular verse I thought about how many times we overlook what we consider the little things, but it’s the little things that add up to make a big deal. Have you ever considered that little things have the ability to destroy big things? Little foxes spoil grape vines; little germs ruin health; a little hole in a dam causes floods; little snowflakes stopped Napoleon from conquering Russia. Many times the seemingly little things of life go unnoticed until they add up to large problems. Businesses suffer when there is a lack of attention to detail. Marriages are often in turmoil not because of one big thing, but due to a collection of little things over the years. The wise man that penned the verse of scripture was concerned about his vineyard. It would be safe to assume that he had already protected his vineyard from the larger, more obvious threats such as the cattle, or possibly even the camels by constructing a fence to keep the obvious dangers out. But in addition to protecting against the large, obvious threats to his vineyard, he also gave an order to “catch for us the foxes, the little foxes” because he knew that during the night the little foxes could slip past the large cattle, and the enormous camels, and creep under the fence that was built to keep the obvious out and destroy the precious vines. Often we are prepared for the obvious and we go to great lengths to guard against the large things of life, and this is good, but many times we miss little opportunities. Such as, telling our spouse how much we love them before rushing off to begin our day, or little chances to let our children know we are proud of them. Too many times the little moments of life pass us by. Had it not been for my “golfing buddy” I might have missed the significance of our simple day together and let a little moment pass by without realizing it’s value. Let’s aim to not let the little things of life pass us by, remember, it’s the “little foxes” that spoil the vines. As always, I’m praying God’s best for you. Thanks! Love the blog and the picture! Pastor your word, as always, is right on point and you have the best “golfing buddy” I have ever seen. May you be as blessed today & always as you have blessed us. Thank you. I loved this!! It is often that our children are the ones who make us “stop and smell the roses”. I love their perspective and views on life and I wish sometimes I could think more like them in certain situations in my life. I guess this is another reason they say our children are such blessings from God. They are always there to help us slow down and look at the little things. Thanks Chris!! This is a great lesson! Thank you. Love this and of course LOVE this little guy!!!!! He captured my heart the first time I laid eyes on him! Pastor, we really missed being in church the last two sundays. It's good to be able to get on the website and read something inspirational. I'm all about loving on my kids, for what ever reason I knew how fast they would grow up. Hannah messes with me and says “dad, I'm only here for three more years”. I say …surely you'll come back after college won't you? I have a picture of me and the girls sitting on the porch swing and it says…”enjoy the little things for some day you may look back and realize they were big things” Keep up the good work we love ya! !